And it seems that Warner Bros. are hiring several cooks to work in Aquaman’s kitchen as well. According to the Warner Bros. insiders, Will Beal, Jeff Nichols, and Kurt Johnstad are all working on an Aquaman screenplay. However, Johnstad was reportedly instructed by Warner to pause on the film until the studio was ready to proceed with a clearer vision. Game of Thrones' Jason Momoa will star as the Justice League's underwater dweller. As we knew already, one of those offers was Warner Bros' solo Aquaman movie, and The Wrap's Jeff Sneider is hearing that Wan has agreed to helm it after his next project, The Conjuring 2. "The kind of filmmaker that I am...even my darker horror films generally are still very fun and I think that's important for me and the kind of films I make. 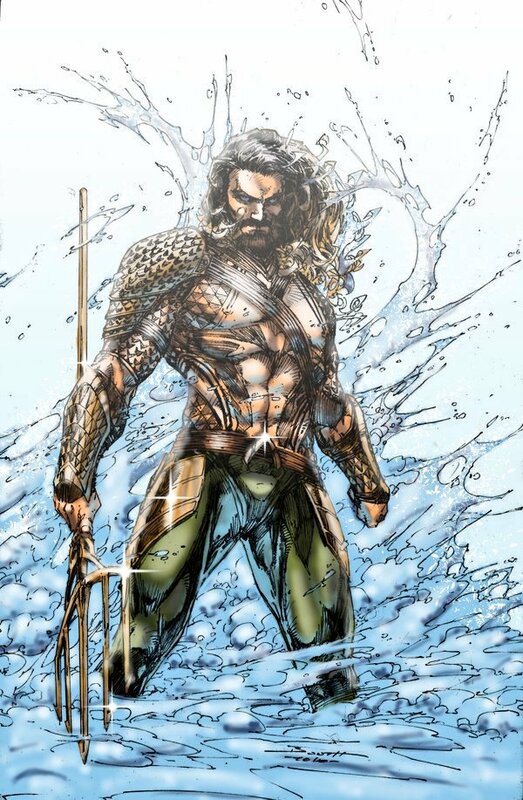 Aquaman is a character that a lot of people have made fun of over the years and I just think it's fun to actually show a really different, cool, badass side to this character, but at the same time, let's not forget to have fun with it." Il va ce faire plaisir le bonhomme avec les bestioles des profondeurs ! According to the site, they're now "at odds" with Zack Snyder over Justice League, and there has been, "Lots of fights between Snyder and the WB execs, and lots of pressure from Burbank on Snyder, who is shooting in London."